I'm starting a new thread so we can keep trades/purchases in one place. It makes more sense this way! Last edited by BuzzedLightyear; 06-05-2009, 02:10 PM. I have a couple of extras, but I don't know what they are called. Does anyone have a link to pictures and names for these? Vinylnation.net has a great reference of all the series released to date. I have an extra park series 2 monkey, and am looking for the park 2 toon hole. Wanna trade? let me know? I have an extra of series 1 figment. Looking to trade for just any series 1 or 2 urban. I just got back from my trip to disneyland, and me and my fiancee got hooked on Vinylmation while we were there. We got a few of them, and unfortunately got two of the Mike Mouse from the Park Series 2. Anyone want to trade for one of them? We like both the Park and the Urban series. i have an urban 2 paint by numbers if you would like to trade your figment. Vinylmation: Chinese Writings, Artist: Lin Shih. First, I bought one. Then, I bought two. And then, my boyfriend bought me a third. Now, I have 2 - Vinyl "Chinese Writings"
Who would like to trade? I like the Urban #2 series. Or the Urban #1 series. If anyone else has doubles, I am interested in a trade! Need: ALL ... except Kermit and Yeti. Need: ALL ... except Checkered. To Trade: Snow White and Pongo (Chaser) w/out Card. To Trade: ALL, including Valentine (Chaser) w/out Card. To Trade: Jack Skellington, Bones, Turkey and Gingerbread. I also attended the D23 Expo and was able to pick up a few exclusives. 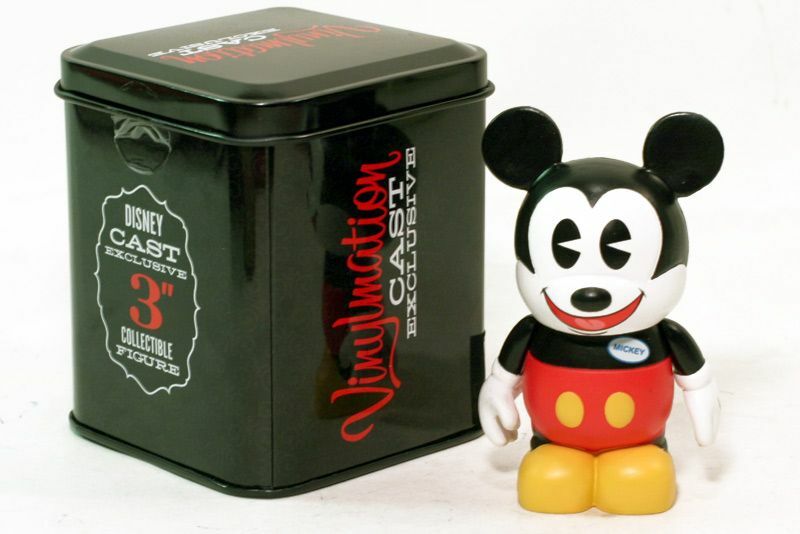 I have a limited 3" D23 Vinylmation with the tin I'd be willing to trade. And I also picked up a Limited Edition Noah (Mickey Metal) 9" ***SIGNED*** by the Noah himself. (Yes, I stood in line to have it signed!) He's in high demand, so I could possibly see trading him for the Red Balloon Chaser. Or maybe some other offer if I felt was fair. Also, I have an extra Candy Corn with the tin I can part with too. I've never done the trade thing except for at the parks. So, I'd kind of like to keep it local. Like, possibly meet at the park. I'm just very hesitant about getting ripped off. So, if you have anything you'd possibly like to trade PM me. P.S. You can always visit me on MySpace at: http://myspace.com/miisvegas. I Have one of these i wouldn't mind trading. Sadly, I would only want a Kermit. Well now I know what set to buy next! I've got 3 D23 3" at $13 each. Pretty much what they went for at expo with tax I believe. Last edited by justjohn; 09-17-2009, 03:35 PM. I have an extra New Years Baby if anyone wants to trade. Do you like pictures of Disneyland at night? Check out my thread of epic photos here. Do you like pictures of DCA at night? Sure you do, check them out here. If you are interested please PM me. In general I'm open to all offers, but I'm really only looking for Park#1, chasers, and Shag. Thanks!!! Let me know if anyone would like to trade with me!